Free Download Purple Flower Fields HD 640x1136 resolution Wallpapers for your iPhone 5, iPhone 5S and iPhone 5C. Downloaded 197 time(s). File format: jpg . File size: 376.79 kB. 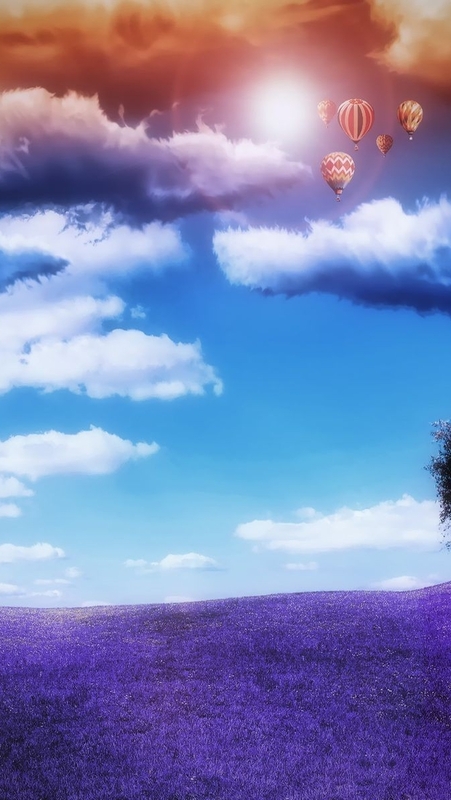 Purple Flower Fields, Blue Sky, Hot Air Balloons.